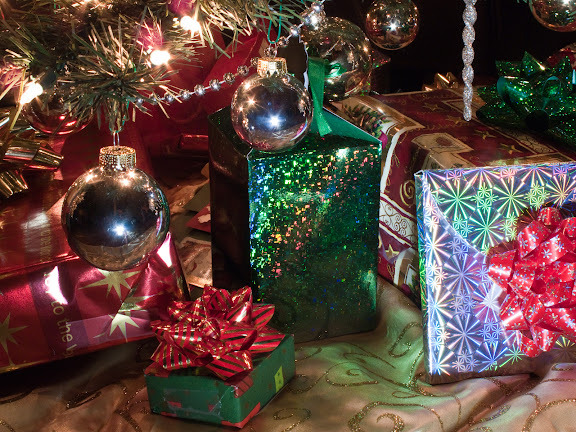 It is always magical when the presents begin to appear under the Christmas tree. Today was rainy so there was a lot gift wrapping going on at our house. Our resident Santa's helper was hard at work and her efforts brought more of the season into our home. Canon G10 2.5 secs @ f/8.0, ISO 100. The Christmas Tree looks beautiful with all of the elegantly wrapped presents. The gifts under the tree do add to the magic.